Capel Bangor is close to the seaside and university town of Aberystwyth, and is perfectly situated as a base for a holiday in Mid Wales. Capel Bangor has a Golf Course and Riding Center, and is close to the Rheidol Valley. This is an area of outstanding natural beauty, and is just a short drive from the Caravan Park. 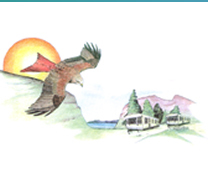 At the Vale of Rheidol, you will find scenic walks, picnic sites, a butterfly house and visitor center. The Vale of Rheidol Steam Railway runs through the Rheidol Valley and links Aberystwyth to Devil's Bridge, where you can see the world-famous Waterfalls and Bridges. Situated between Capel Bangor and Devil's Bridge is Bwylch Nant-yr-Arian. This area is a paradise for bird watchers, since the re-introduction of the Red Kite some years ago. 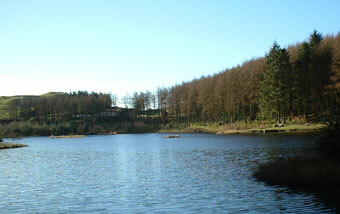 At Bwylch Nant-yr-Arian you can see daily Red Kite feeding, enjoy the forest walks and a fine restaurant. There are many world-class mountain bike tracks here. The Silver Mountain Experience is just a little further east; an all-weather award winning tourist attraction, with guided tours of the Mine, Audio-visual displays, gift shop and tea rooms. Maes Bangor Caravan park is within easy reach of the many fishing lakes in the area, the Elan Valley, and the many Castles of mid and north Wales. 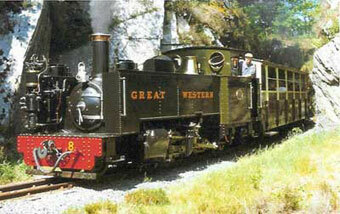 For more information on the attractions in the area, visit the Pentir Pumlumon web site.